Need all your site forms on one app? 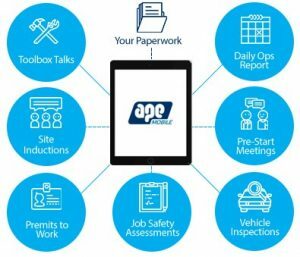 As a construction paperwork app, that’s exactly what APE Mobile was built for. You can create any type of form – such as Site Diaries, Engineering Calculation Sheets, Progress Reports and Time Sheets all linked to custom data & activity codes. Plus safety forms such as Incident Reports, Site Inductions, Pre-start Checklists, Toolbox Talks, Permits to Work & Job Safety Assessments. APE Mobile saves everything into projects, it even registers the documents for you and organises them with sequence numbers and metadata so you can easily find them later. Your records are synchronised with each member of the project, even if they’re in the office. It makes it easy to complete your forms, including photos and signatures, and send them to your customers or subcontractors right there in the field, at the same time automatically registering and storing them. Quality assurance made easy! 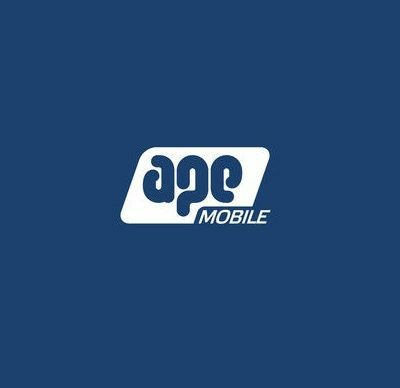 APE Mobile replaces site paperwork by magically rolling all your form templates, checklists & drawings into a low cost paperless app. Saves a ton of time on site and with zero data entry back in the office. Technology is taking over the world, in nearly every facet of our daily lives. From 3-D printing and wearable devices to drones and apps for everything. On the construction front, technology has changed the way we now create schedules, do paperless planning and execute project management. Our world is becoming one where structures can be done without manual labour, and with automation for more efficient workflow.